And then we deal with the complexity as usual 🙂 Next step is frozen columns for horizontal scrolling but that’s planned for a future milestone. Check out the PrimeFaces Labs to see enhanced scrolling in action. The Spring Roo team have started an exciting new add-on to create Roo applications with a PrimeFaces UI. We want to harness the power of PrimeFaces and JSF 2 to bring Roo users a rich UI experience like never before. As such I want to know if any enthusiastic PrimeFaces developer would like to get involved. If you have used Spring Roo before, you will know that it comes with a few sample applications that have a Spring MVC web front-end. We have a working PrimeFaces prototype of one of the sample applications called Vote, however it is done using JSF and PrimeFaces tags. Before the add-on can be written to code-generate a JSF UI, we first need someone to volunteer their time to convert this app to render the majority of the components using the PrimeFaces/JSF 2 API. This has proven to be a time-consuming task as lots more Java code needs to be written to render the pages than just using tags. Also, I’m sure there are many more experienced PrimesFaces/JSF developers out there than I am and using best practices will ensure the success of the add-on. Interested in helping out? If so, send me an email at stewarta at vmware dot com and I can give you more details. PrimeFaces Team will be working as an advisor in the development of the add-on with the Spring Roo Team and the volunteers as well. See PrimeFaces forum to follow the discussion. Let’s all make this add-on a success! Timeline is a new data component to display temporal information. Component is backed by a model and features zooming as well. See the beta demos at PrimeFaces Labs. 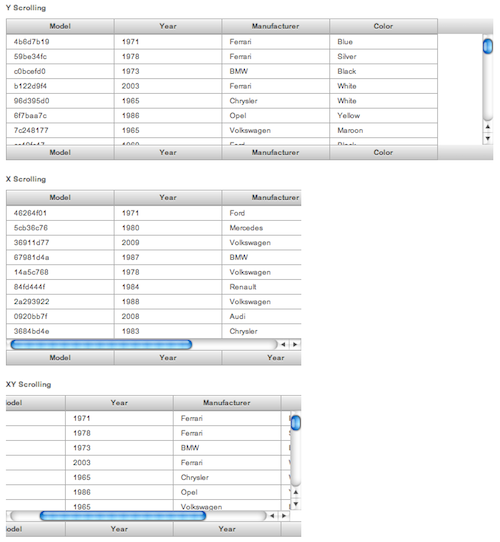 PrimeFaces M3 work continues with the new enhanced AutoComplete. Our old autoComplete was based on jQuery UI autocomplete which was working fine but limits us on displaying customized html content since suggestions were JSON based. 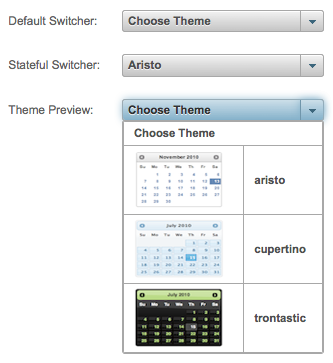 So I’ve rewritten the autocomplete as a native PrimeFaces Widget. All features are backward compatible and css structure is slightly changed to fit PrimeFaces conventions. The code is alpha right now and my team mate Levent will handle the testing soon so be gentle 🙂 Checkout PrimeFaces Labs.